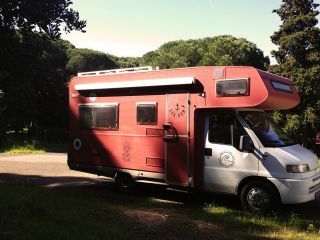 Fly and Drive - Book in the Netherlands and pick up the VW camper in Portugal! Portugal fly drive. 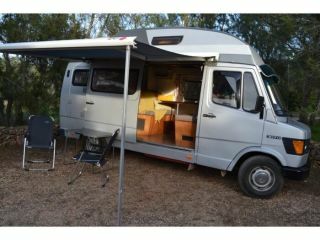 Compact camper van ready for a new journey! Mercedes 307 James cook Portugal. 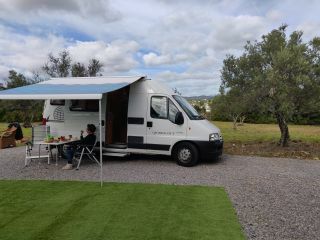 Campervan hire in Portugal may not be the most obvious choice for your holiday there, but it is actually a fantastic way to explore this fascinating country! 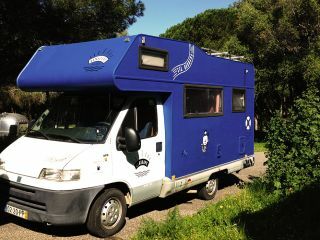 You can easily organise motorhome hire in Portugal through Goboony, renting from private owners and benefitting from their local tips and expertise. There is so much to see in Portugal with its dramatic coastline, historical attractions galore, idyllic national parks, and cheap delicious food - so you will never be bored or hungry! 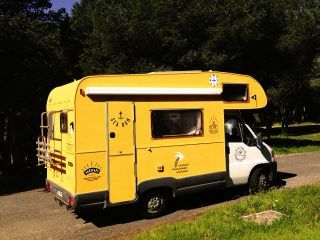 Portugal also is something of a campers’ paradise with excellent weather and beautiful beaches throughout, making motorhome hire in Portugal the perfect way to explore all it has to offer. 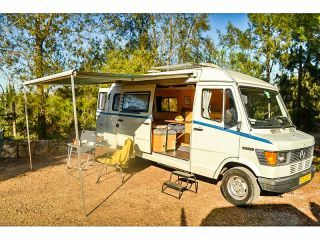 Check out Goboony for a variety of vans, and get your holiday on the road! 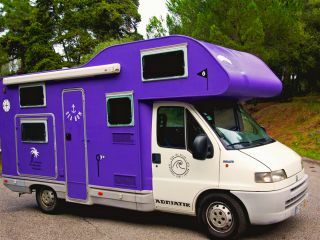 Ivo made the whole experience of hiring his motor home very easy. Despite appearing quite old on the outside, the van met all our needs and expectations. It was also a great size - big enough to fit 4 adults but not so large as to have difficulties parking. Perfect for our holiday exploring the coast of Portugal. 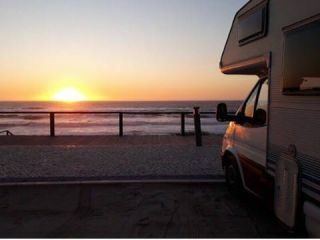 From gorgeous beachside spots to some beautiful and quaint sites further inland, there are literally hundreds of registered campsites in Portugal where you can stay with a motorhome. Of these we found over 240 free ones, making it a perfect location for a road trip on a shoestring budget! For those who would like full facilities and quite a luxurious experience we would recommend sites like Camping Turiscampo in the Algarve. It has a sizeable capacity and all the usual facilities you would need in a campsite plus electrical hookups, access to a swimming pool and even a sauna! If you are more of a fan of the more simple and authentic outdoor experience, there are plenty of great free campsites. Quinta da Padrela is one such gem located around 30 miles east of Porto. One of the best surfing locations in Europe and even the world, Portugal’s coastline is near sacred amongst avid surfers and renowned the world over for it’s huge swells with surfing conditions being favourable throughout much of the year. Portuguese cuisine is another must try if you find yourself visiting, it’s delicious! If you are into seafood, Portugal is definitely the place for you! Beaten only by Japan in terms of fish consumption per capita, the Portuguese have more than a few delicious seafood dishes up their sleeves. When visiting, make sure to try the local take on Mariscada a seafood rice dish full of flavour. We often think of port as something after a fancy meal, but make sure you sample some in its country of origin. And don’t forget to try the scrumptious pasteis de nata (custard tarts)! As a country rich in history there are so many things to do with hundreds of historic sites to visit, including a plethora of majestic castles, palaces and cathedrals. If you are in Lisbon make sure to check out Belém Tower, an amazing 15th century defensive structure built into the sea. The older Moorish architecture seems both exotic and perfectly placed in the southern European setting. 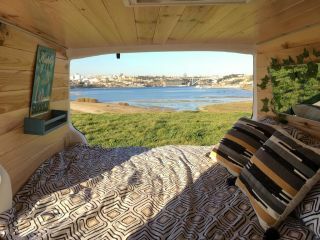 Check out Caitlyn's experience of driving up the coast from Faro to Porto for more inspiration! There are some really great surf events in Portugal including the Rip Curl Pro surf tournament where you will be able to see some of the worlds greatest surfers at the top of their game. The tour will be in Portugal from 16 to 27 October and brings in spectators from all over the world. Visiting Portugal at this time can be ideal for people who prefer temperatures in the low twenties and although there are more showers. Sumol Summer Fest in Ericeira is a surfing based event set in the ideal location of Ericeira (a surf town all year round). The Festival will be in June 2018 and will feature an impressive roster of artists! If it is wine and port you came for then make sure to head to Porto in July to enjoy the Wine Fest where you can sample delicious local creations! Book your Portugese adventure with Goboony!